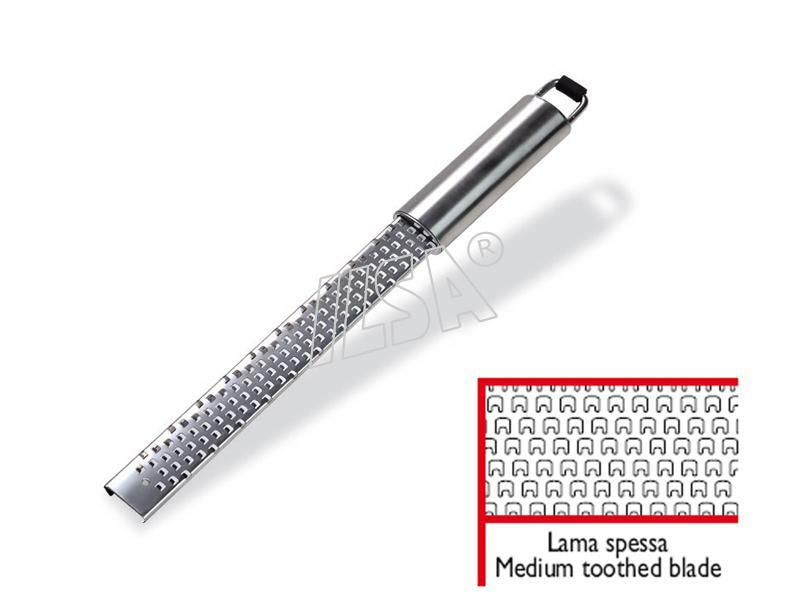 Designed to extract the best flavor from your food, this high quality stainless steel grating surface stays razor sharp. Excellent for hard cheeses, onions, citrus fruits, ginger, chocolate, and more. Blade measures 8 inches long and the total length, including the handle, is 13 inches in length. All stainless steel. Dishwasher safe. Made in Italy. Click the button below to add the Ilsa micro tech grater medium blade made in Italy to your wish list.